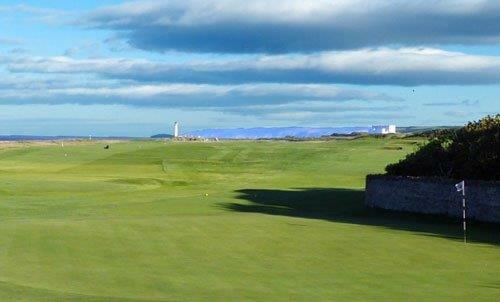 With a founding date of 1856, Dunbar Golf Club takes pride in being one of the ten oldest Scottish golf clubs still in existence. But we also pride ourselves in a thoroughly modern – 21st century – approach to the game. We have thriving men’s, ladies, juniors and seniors sections and, from our mixed lounges to the dress code, we aim to foster a relaxed, family-friendly atmosphere. With the Dunbar Castle Golf Club (once the artisan club at Dunbar) at the forefront, we provide a vibrant mix of golfing and social occasions throughout the year. There are so many ways in which you can become a member of our golfing family here at Dunbar. Please see below to find out what Dunbar Golf Club has to offer you. This category is open to male and female golfers over the age of 24. This category is available to those who can demonstrate to the Club that they are unable to pay the full membership. Applications for this category of membership will be dealt with on a case by case basis. Such members will be entitled to play after 2PM on Mondays – Fridays and after 2PM on Sundays (during BST) and after 12.30PM on Mondays to Fridays and after 12.30PM on Sundays (during GMT). Boys and girls who are ages between 9 and 17. Offered to youths aged between 18 and 24. Open to both ladies and gents whose main residence is overseas. There is no restriction on how many times they may play the course and they have the same visitor guest introduction rates as the ladies and gents membership. 1 - The entry fee may be paid over two years in two equal instalments. 2 - The subscription payable by those admitted to membership after 31 March in any year will be abated to that amount calculated by applying the proportion of the subscription year remaining at the date of admission to the annual subscription for the year. 3 - There is a levy in place at present to assist in the proposed new Clubhouse, 9 Hole Golf Course and Golf Academy development. Please print, complete and sign the application form, then either send by post to the address on the form or scan and email the form to the email address below.